I hope you all are doing well. I also hope that you all have somewhat become adjusted to living the college life and being a freshman. School should be winding down soon because of the Holiday breaks that are coming up. But in the mean time, I hope you all are studying and completing any make-up work for this semester. 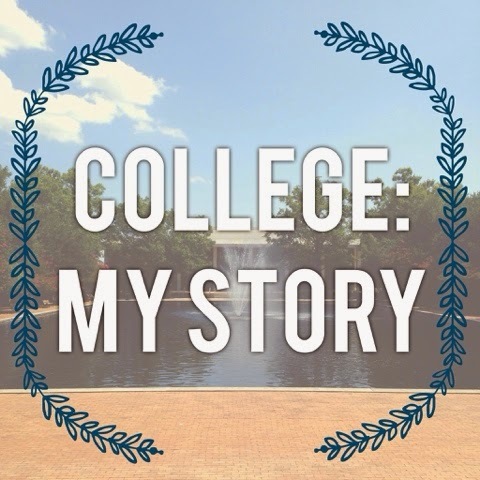 In this post I wanted to share and talk with you all my college experience. Granted, it wasn’t always the best time but I wouldn’t trade in the memories I have for nothing. I started off going out of state all the way to Lincoln University in Missouri. I spent a year and a half there. It was a good experience but it was a small part town and a small university. After spending a year and a half there, I transferred to Houston, TX to attend Texas Southern University where I eventually obtain my BA from. Being in Houston and just in the state of Texas overall was a bit overwhelming because everything is so big and spacious and it takes forever and a day to get somewhere here. I felt like a small fish in a big pond. But after being here going on now years now, I have gotten pretty used to Houston and I’ve come to like it here. Being in college has been a blessing because I have learned so much from my time there. I cherish all the memories the good and the bad ones because each has shaped me into the person that I am growing in to. I have gained a great deal of insight in finding myself and I am still in the process of finding myself. As I have written tips about not stressing and worrying about things, I was that girl who would stress or worry about things to the max. It only ended up hurting me because I didn’t take the steps that I have shared with you all in mind. But thankfully, I’ve gotten better from that. I have gain and lost friendships while I was in school. People who I thought were going to be there with and for me to the end turn out not to be and the ones I thought weren’t going to be there at all are still here today. I changed my major twice!! I thought I knew what I wanted to do but it turns out that I had something else in mind to do as for as my career goes. There of course where people who had voiced their opinion about me changing my major. But I knew at the time that I couldn’t pay attend to that because in my heart I knew I wanted to pursue this profession and it didn’t matter what anybody else had to say or think. I went to the games and was active member of my school’s Debate Team. That was a wonderfully experience because it taught me that I have voice and that I matter. Being on the Debate Team kind of broke me out of my shell and I enjoyed going on the tournaments whether in or out of state and being able to travel out of the country to Argentina for international competition. I believe that college is what you make it. There will be ups and down, good times, bad times but that’s all apart of life. Being in college you get to experience a number of things and opportunities. In college, you get to find out who you are and what makes you stand out from the rest. It’s not about fitting in but about finding your passion in life. It’s about going after your dreams, goals, and aspirations. I hope you all continue to strive to be the best version of you that you can be. There will be gains and there will be loses but that’s all about growing into the person you know you are meant to be.